Pakor offers an extensive selection of high quality inkjet photo papers for your dry lab printer. Featuring Glossy, Luster, (Lustre) and Satin finishes in a wide variety of sizes, you are certain to find the manufacturer, type of paper, and size that best meets your needs and budget. 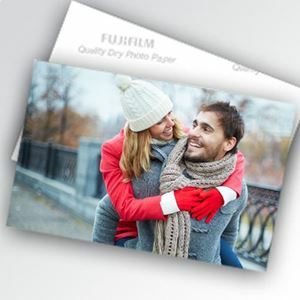 Fujifilm FineArt Matte paper is a high quality coated paper with a smooth finish. It was designed for printing with FujiFilm's Frontier-S DX100 printer. 10 mil | 2 rolls per case. 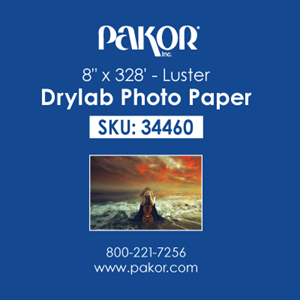 Pakor’s photo paper is designed to work in today’s dry lab printers. 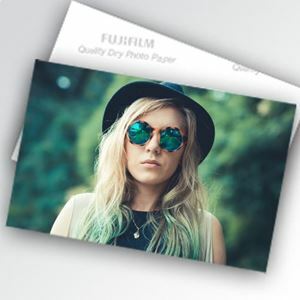 This 10.4 mil premium paper produces exceptional image clarity, vivid colors, and is a water resistant surface, 10” x 328', luster, 2 rolls per case. 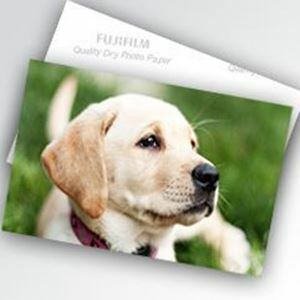 Pakor’s photo paper is designed to work in today’s dry lab printers. This 10.4 mil premium paper produces exceptional image clarity, vivid colors, and is a water resistant surface, 12” x 328' luster, 2 rolls per case. Pakor’s photo paper is designed to work in today’s dry lab printers. This 10.4 mil premium paper produces exceptional image clarity, vivid colors, and is a water resistant surface, 8” x 328', luster, 2 rolls per case.